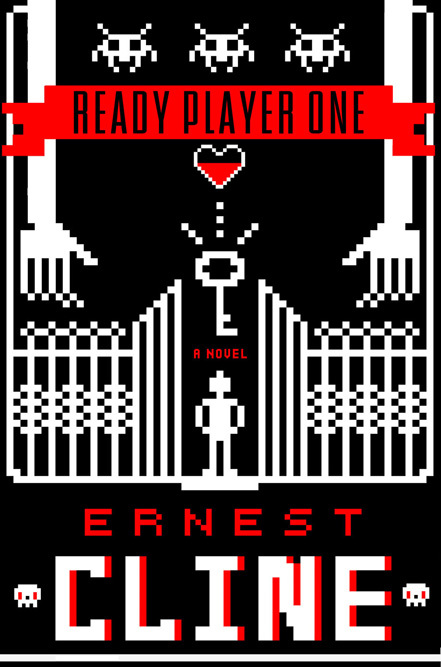 As we mentioned over the last few podcasts, this week on the show, Scott and I discuss Ready Player One, a young-adult sci-fi novel that marries Willy Wonka and the Chocolate Factory with every 80s pop-culture reference in existence. I highly recommend you give the book a read. If you have not yet picked it up, feel free to listen to the podcast anyway. Like always, we remain spoiler-free until near the end. As always, we would love to hear your thoughts in the comments section below. Also, because I forgot to mention it on the podcast, if I were to pick a giant robot for the final battle, I would pick an Evangelion. I think that the book presented quite a mixed message on the whole "spending all your time online is bad" concept. In fact, the more I think about it, the more I think that wasn't quite the point, and it was more about not ignoring other people. Wade's lowest point is when he is truly alone, living in a locked apartment and shunning all human contact. There's quite a poignant moment when he realises that his only friend is Max Headroom, a computer simulation, who can only respond as programmed. As a result, the social responsibility that pops up at the end of the book, when they decide to use the money and power to improve the world rather than escape from it, is essentially an extension of this concept. 'Don't ignore other people' becomes 'Don't ignore humanity'. On the whole, though, I thought it was a really fun book. A rollicking yarn, as they say. Thanks for doing this podcast, it helped me get some thoughts together about the book. Also, Leopardon was clearly the best choice of robot. Good point, Ben. I think you're right. As the world becomes increasingly digital, it's easy to become isolated, but the fact is that the Internet (and therefore any kind of social game/network) is nothing without the people on it. 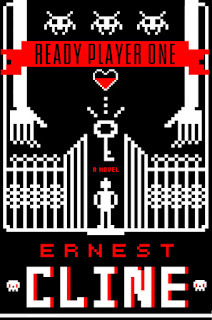 Ready Player One is a good reminder of that. I love the Max Headroom material because I remember Headroom. He really creeped me out when I was young. The persona completely abandons any effort to appear genuinely human and embraces tech, and broken tech at that. That's a nice touch for a section that so clearly addresses mankind's occasionally dangerous escapism. I was in two minds about this book, but after reading all the reviews raving about it I think I might give it a try. I cannot wait to listen to Elaine's review on Sunday, I love listening to the Book Report on Sundays.